See all my blogs at Meatingplace.com. I publish blogs twice a month on Meatingplace. The challenges and rewards of raising beef calves. An interview cow-calf producer in Colorado. The Stanko family ranch was founded in 1907 in northern Colorado. Jim and Jo Stanko are the third generation and getting ready to pass the ranch along to their son. I interviewed Jo Stanko asked her about the challenges and rewards of raising beef cattle. GB: Jo, tell us about your ranch. JS: The ranch has been in the family Since 1907. 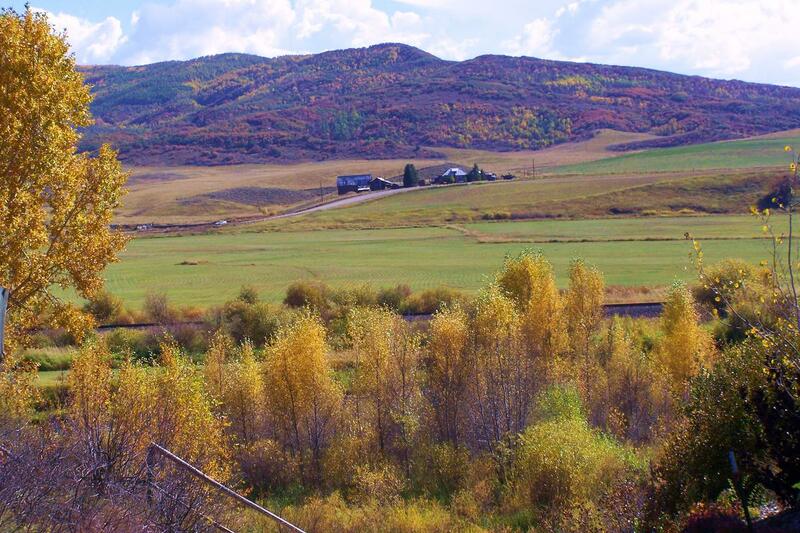 Jim’s grandfather immigrated from Czechoslovakia and homesteaded the ranch near Steamboat Springs. In our family one generation buys the ranch from the prior generation and that’s how we pay for our retirement. We own a section and lease over 2000 acres. GB: Why do you continue to raise cattle? JS: Our cow-calf ranch is like a member of the family. It’s part of our heritage. We take pride in our calves, in our land and in putting up over 700 tons of hay each winter. We get over 400 inches of snow each year and we have to feed hay for 180 days. We enjoy our freedom and that every day is different. We are proud of the calves we raise for the industry. We enjoy hard work and the lifestyle of ranching. GB: How has the business changed over the last twenty years? JS: As an educator for over 30 years, I have observed that children used to be educated in elementary and middle school about food production. Children visited farms and dairies and had presentations from farmers and ranchers. That’s been removed from school curriculums, even in the small towns. Also the technology has changed a lot. You used to have your neighbors all pitch in to help you put up your hay. Each neighbor had a different piece of equipment and you all worked together on each other’s fields to put up hay together. Today, we are all self-sufficient with large equipment that can do the work much faster. We can produce hay now with fewer people to help. We put up round bales instead of small squares. GB: What is one of your biggest challenges presently? JS: Agricultural land values continue to increase. We are part of the last generation of ranchers that can exist on the proceeds of the ranch. Because of increasing land values, our son will have to continue in his career as an engineer to afford to buy the ranch. Ag land has increased in value even when other real estate values have corrected over time. There is less Ag land available for each generation and it costs significantly more to purchase and this is a crisis as available Ag land is decreasing. GB: What do you what meat processors who buy boxed beef to know about the beef business from your perspective? JS: They need to understand that for us, it’s not about the money. Sure, it’s nice when the business is doing well and paying its own expenses, but it’s not about the business and making money as much as it’s about what the best thing to do for the land and the animals. We continually think about how to best manage and sustain the land and how to put out the best quality animals. We take pride in our reputation in the industry. We are constantly working on the conservation of water. In colleges they teach that ranching should be strictly run like a business, but we do a lot of things at times that don’t make us money. For example we don’t take short cuts with our animals and when one gets sick, we often spend more money on treatment than we will recover when we sell the animal, but it’s the right think to do. GB: What do you wish consumers who eat the beef you produce knew that they don't? 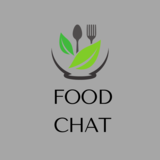 JS: With all that’s going on with social media, I wish consumers would use common sense and investigate on their own before jumping on a bandwagon and forming an opinion about food production methods, no matter what food it is. I wish consumers would take the time to investigate and check their sources to make sure they are getting the entire story. This blogpost was posted originally in my blog at www.meatingplace.com on September 3rd, 2015. It’s amazing what you can learn about people on a cattle drive. Before my three teens went back to school, Christy and I took them on a cattle drive at an eight-thousand acre ranch in the Colorado Mountains. I grew up on a farm, around cattle and every other sort of farm animal but I’d never had the chance to herd a couple hundred cows along a river and though twelve miles of rough terrain in the mountains. Most of the cattle stay together, but now and then you get a stray or two that wants to go their own direction and they leave the herd. They usually duck into some scrub oak or trees with low branches so you can’t easily get them while on horseback. They hide from you. You have to go get these stays as they will not come back to the herd on their own. Cattle get tired, just like people do. Black hides in hot summer sun driven at even a slow pace wears them out after a while. You have to herd them at the pace of the slowest animals. You have to stop and rest them and let them drink at the water holes. Some cattle respond better to being led from the front, rather than driven from behind. Along the trail, as cattle tempers grow hot, a few will stop, face you give you a look that says, “I DARE YOU TO MAKE ME GO ANY FURTHER”. No amount of “yip” or “get along” makes them move. Your words are no longer effective. Now only the body language of you and your horse will make in impact for changed behavior. Your actions have to speak louder than your words. It helps to pass the time by having some fun and singing to the herd! The herd when faced with a difficult decision about a river to cross or a fence to go around, doesn’t follow the most dominant “alpha” cattle but rather animals they trust, who take risks by going first. Some cattle are pretty smart and some, not so smart. Some make some pretty bad decisions and get themselves stranded on the top of a rocky bluff or alone with a coyote and they get their tails eaten off. When they stay together they are safer than when they are all alone by themselves. I hope you get a chance to live out the “City Slickers” experience on a cattle drive some day. You will learn a lot about yourself, about the hands riding with you, raising children and managing people. What life-lessons have you learned on the cattle trail, raising animals or farming crops that have helped you be a better person, parent, spouse or manager? The Humbling Beef Brisket: Getting it right takes time.